Canon once again revolutionises the future of photography and filmmaking with pioneering, new EOS R System. Canon, the world leader in imaging solutions, has today redefined the frontiers of photography and filmmaking with the launch of the pioneering EOS R System. Over thirty years on from the original, era- defining EOS launch, the bold, new EOS R System will once again expand photographic possibilities in countless ways. The new RF lens mount has been engineered with the perfect blend of optical, mechanical and electronic design to capture unique moments in previously impossible ways. 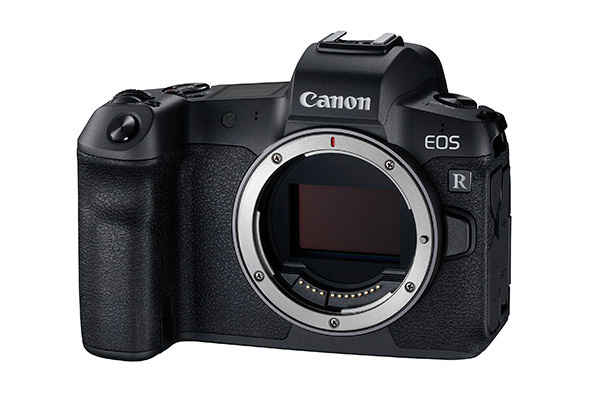 Adding to the EOS full frame line-up, Canon has today unveiled the first camera body to carry the EOS R name and RF lens mount – setting the new standard for the camera of tomorrow. With the world’s fastest autofocus, it is also the world’s first camera with the ability to focus in light conditions as low as -6EV and totally silent shooting, providing stunning quality results every time. The EOS R redefines photo and video performance with unrivalled image quality, state-of-the art connectivity, refined ergonomics and responsive handling.